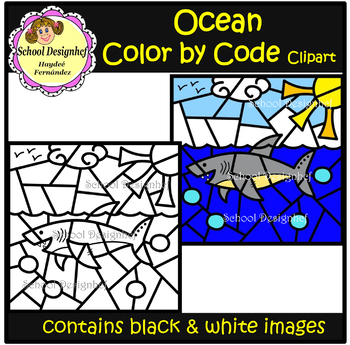 This set contains 10 Ocean - Color by Code images, perfect for your resources. 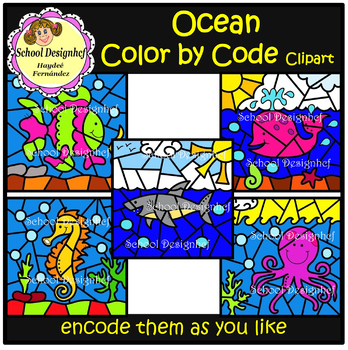 Includes all of the images shown, with high quality graphics for endless possibilities you can use them in your classroom or your TpT products. Included are 5 vibrant colored images (as seen in the sample) and 5 black/white versions. The images are in Zip File, JPG format at 300 DPI for highest quality printing. These were all hand drawn by me. The images cannot be copied, redistributed or posted for others.